A lot of love in the little red rag top. 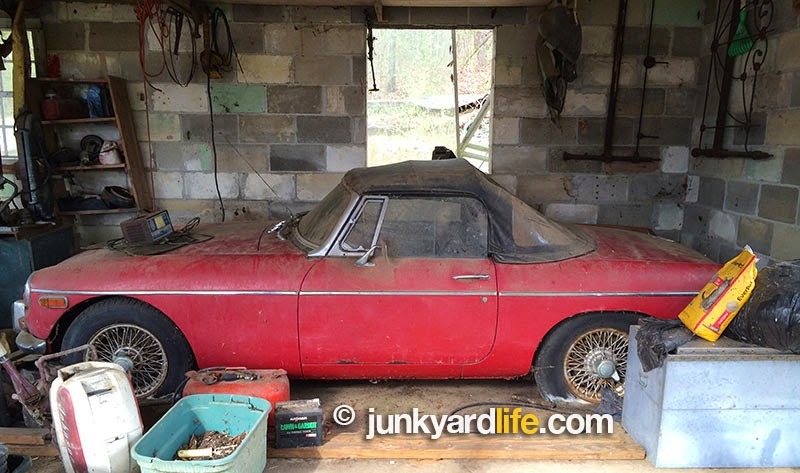 The 1995 license plate revealed the year that Shirley Hardaman parked her 1972 MGB in a storage shed on Logan Martin Lake in Pell City, Alabama. 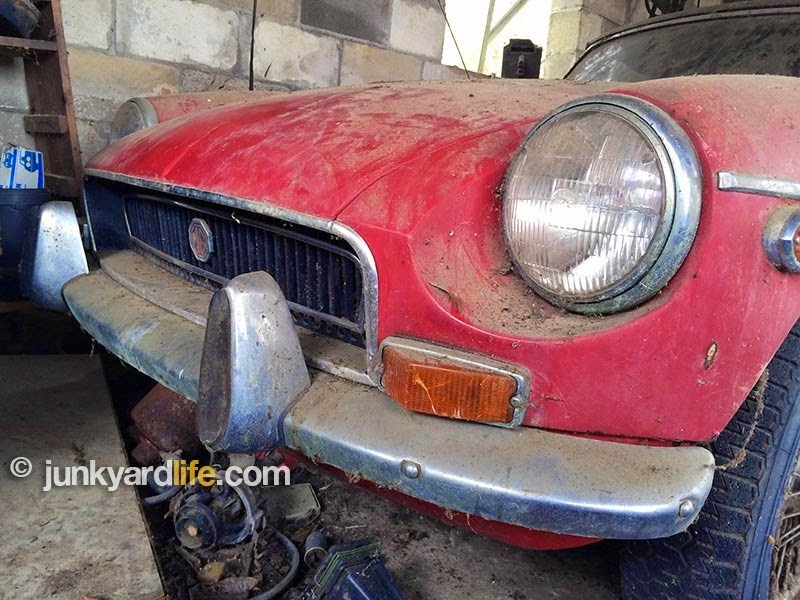 The red MGB spent life mainly as a toy for a mom who loved to get behind the wheel. It would occasionally serve as her commuter car, back-and-forth to Birmingham. Top down fun and miles of smiles were the norm. Life on the lake was good and the little car made it better. 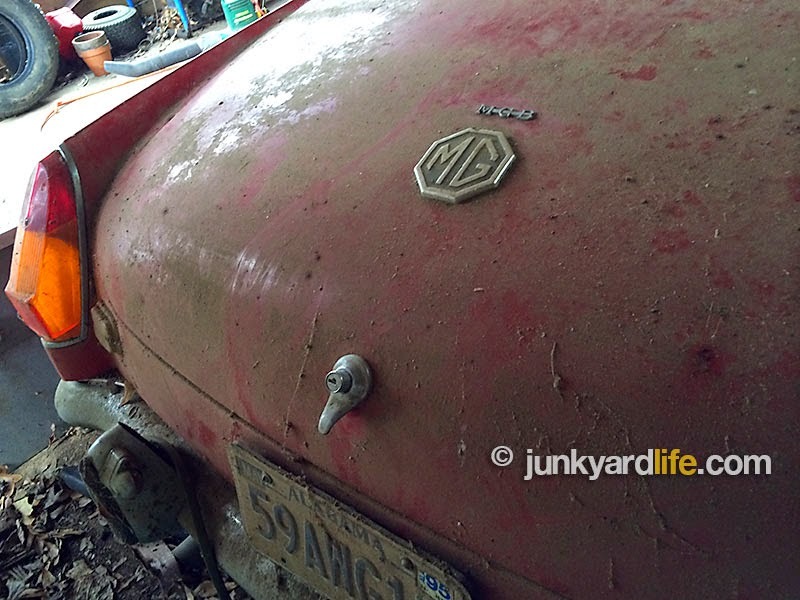 When the MG started to show its age at 94,000 miles, Shirley and her husband, Jim, decided a restoration was in order, but those plans were always put on hold. Life got in the way but their love for the little car never wavered. Keeping it always. The primary driver of the red, 4-speed MGB, Shirley Hardaman, passed away, at age 71, nearly 2 years ago. The recent passing of Shirley’s husband, Jim, forced the bereaved family to sell the fun, little roadster that was symbolic of their mother’s happiness. Shirley’s daughter, Vicki, struggled to contain her emotion while showing me her mother’s car. It was time to let go. 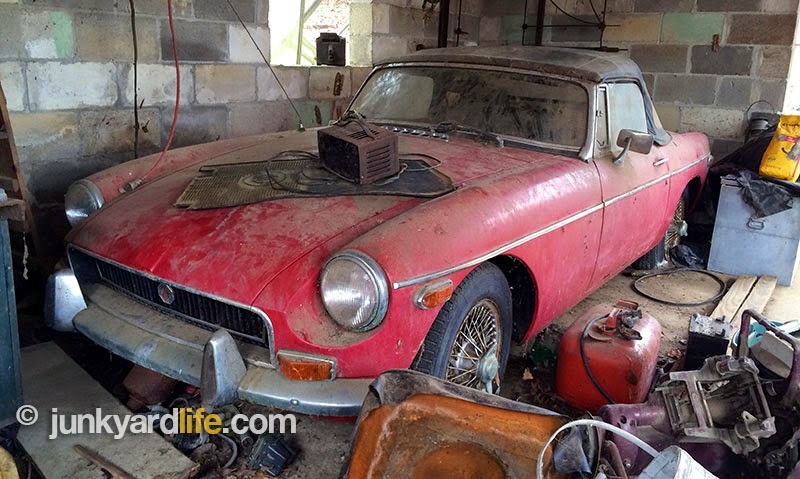 1972 MGB barn find as it looked after 20 years off the road. 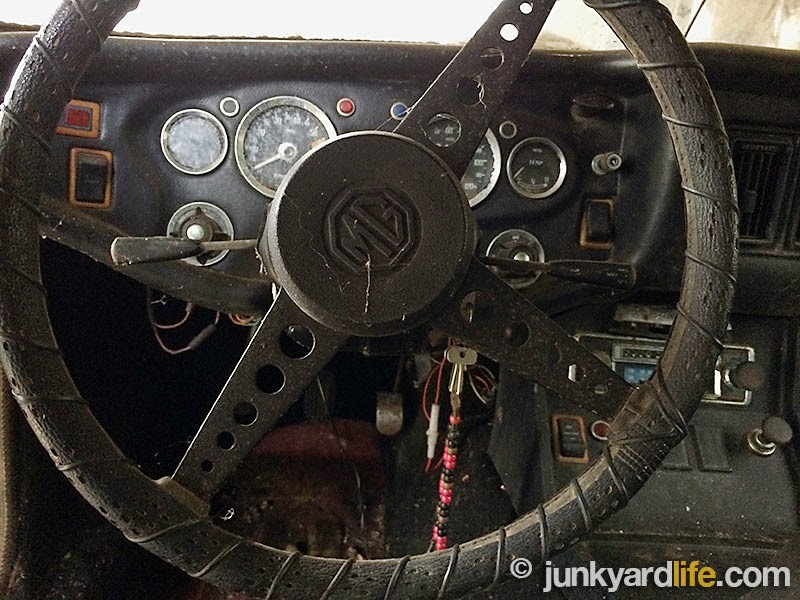 Shirley’s MGB brought her happiness after enduring many tragedies. Her mom died, in 1950, when she was 8 years old. In 1973, she also lost a daughter in an automobile accident. Shirley lost many other loved ones in similarly tragic ways. 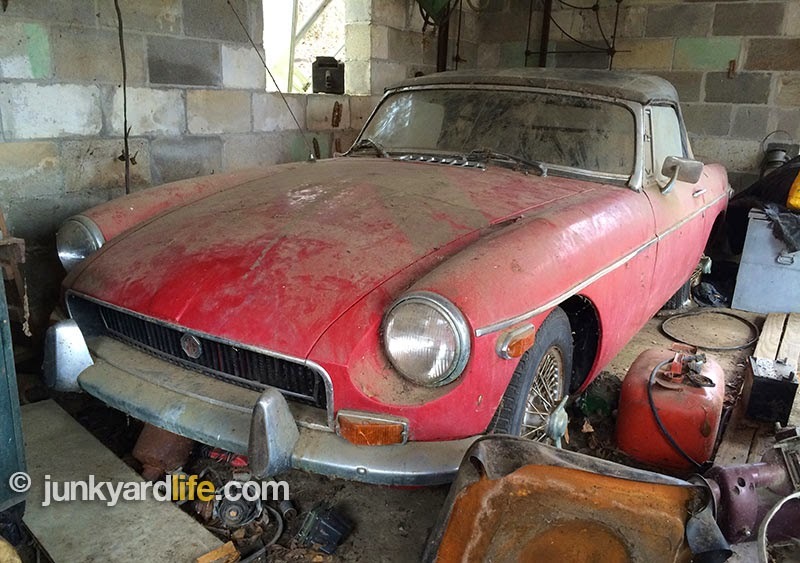 The MGB was a place where Shirley Hardaman could find joy. When Shirley’s first grandchild was born, in May 1990, she promised the red roadster would be his one day. Now, 24-years-old, her grandson was forced to make a difficult decision. Keep the car or sell it? Keeping it meant letting it sit until he could afford a restoration. Selling the car would allow someone to save his grandmother’s car before it deteriorated further. Letting go was the best but most difficult choice. Shirley’s red rag top now has a new owner. More top down smiles are in order when the restoration is complete. There’s no better way to honor Shirley’s memory, than to sit back and enjoy the ride. 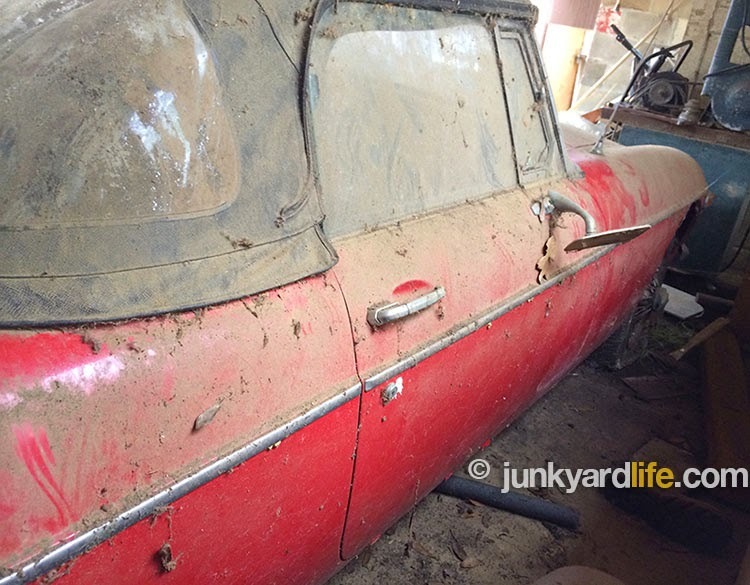 Do you have a classic or muscle car barn find? Send us details and we’re on the way!? Send emails to junkyardbull@gmail.com. 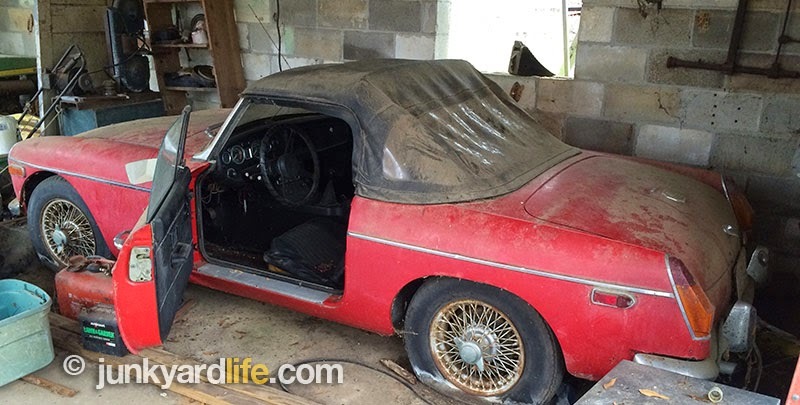 An MGB is more than 6 inches wider than a MG midget. More room to stretch out and shift the four gear. 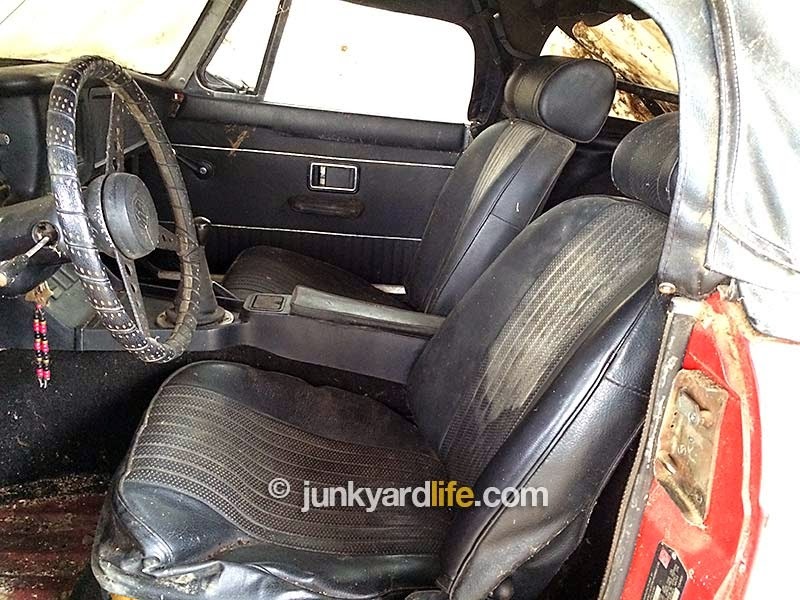 Driver's seat of 1972 MGB shows some wear in the padding, seat cover still intact. 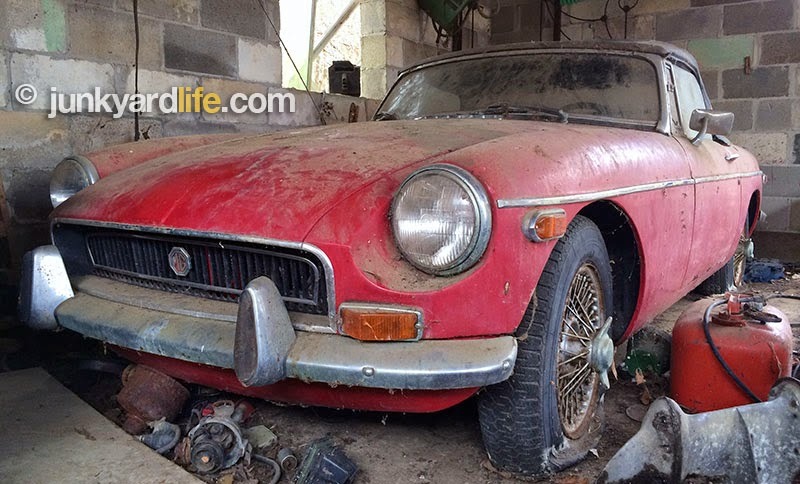 A closer look at the barn find 1972 MGB is in order. Let’s get a look inside. 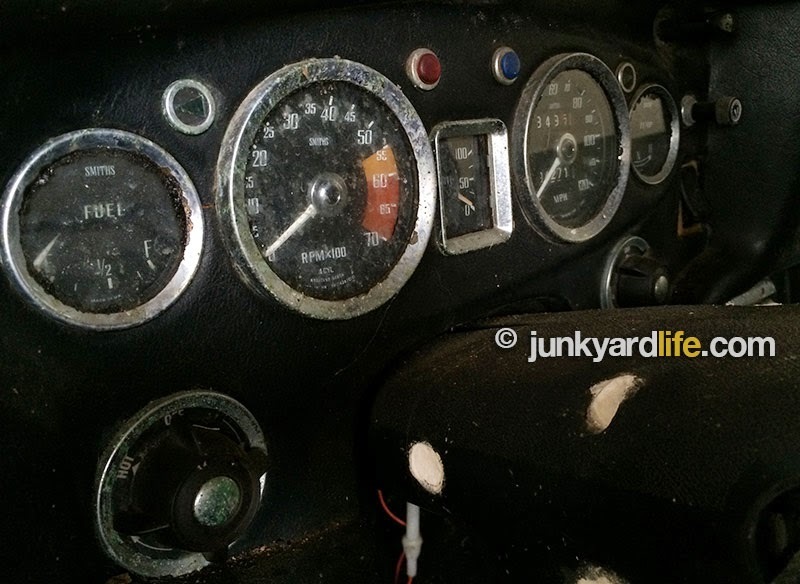 The 1972 MGB has a full complement of gauges on the dash. 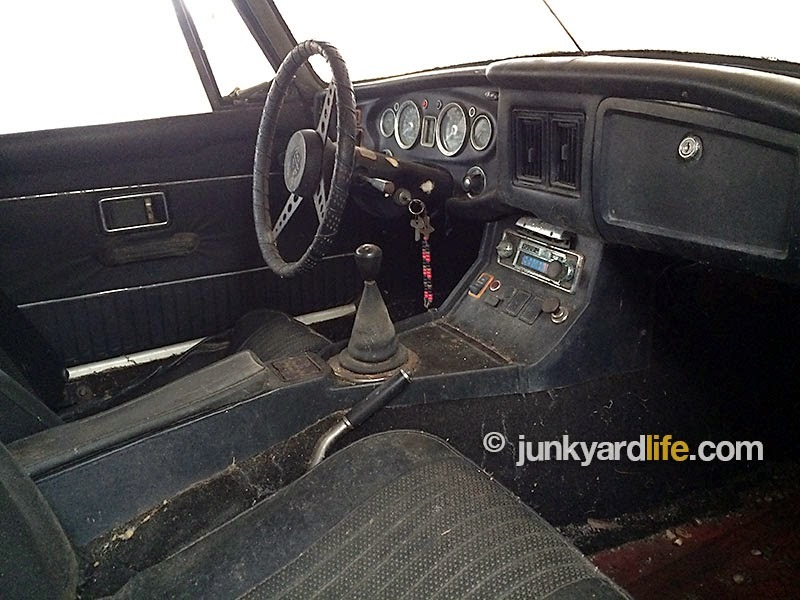 1972 MGB’s radio is surrounded by buttons and switches on the center console and dash. 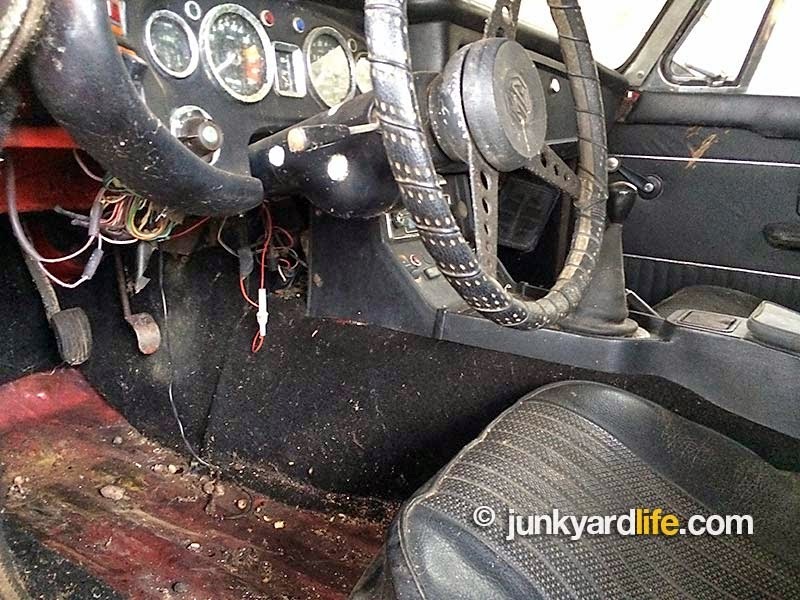 Dirt covers convertible top and plastic rear windows on the 1972 MGB. 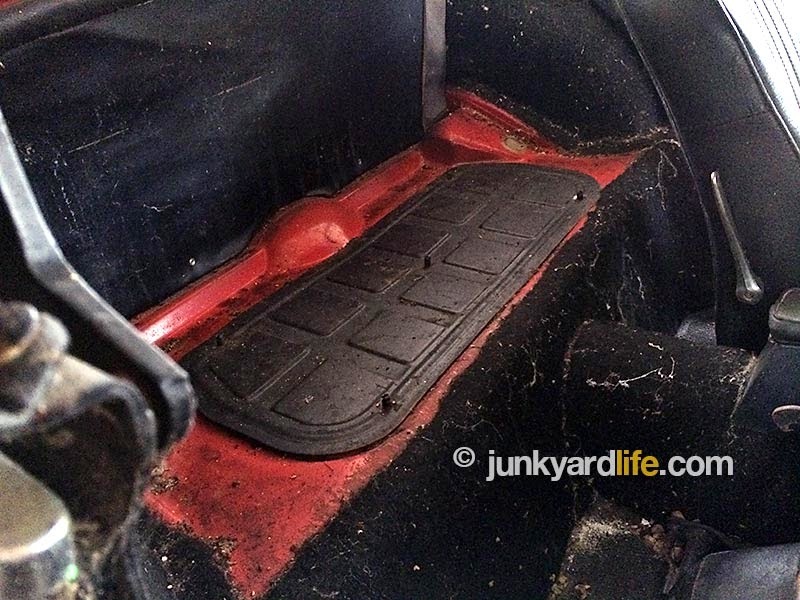 Body including quarter panels on the 1972 MGB are solid and straight. 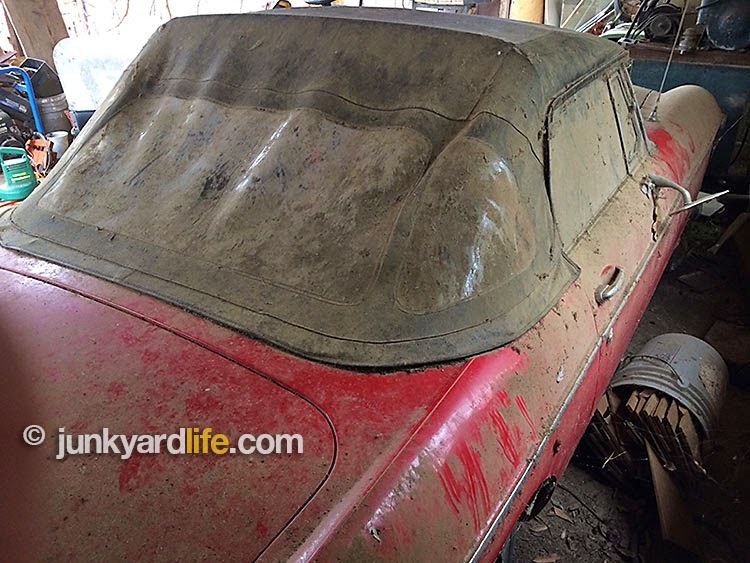 Barn find cars can be found in various stages of neglect. 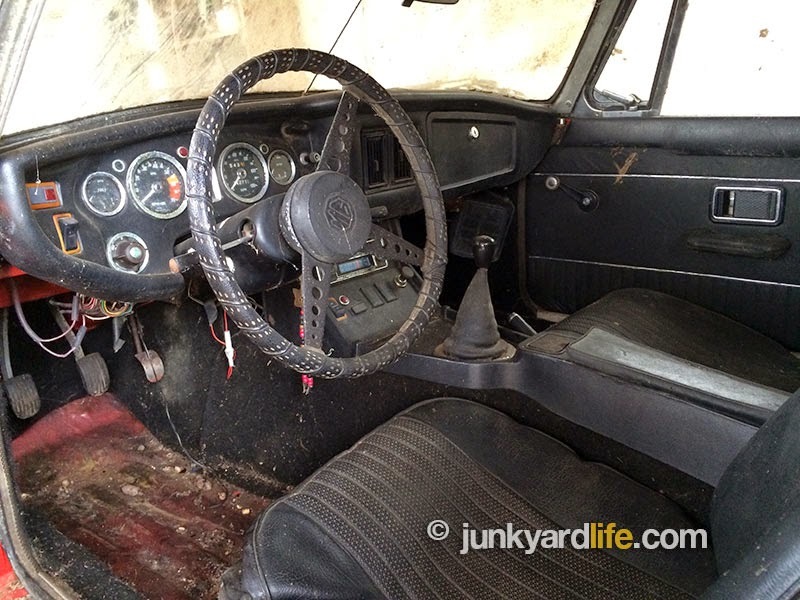 Structurally the ’72 MGB has endured 20 years in storage better than most. Car rule #1: Do not use the car to stack and store stuff. 1972 MGBs retained chrome front and rear bumpers. Mid-year in 1974, the chrome bumpers were replaced with black rubber versions to meet new safety standards. MGBs held title to the most popular roadsters in the US until Mazda’s Miata surpassed them. 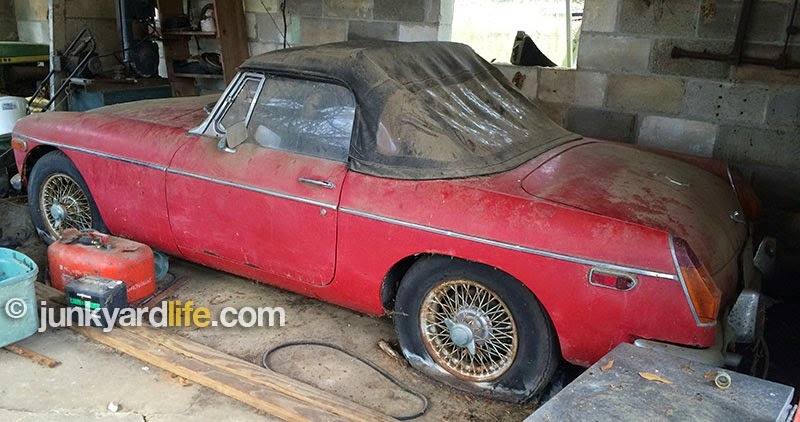 More than 399,000 MGB were sold in the US. 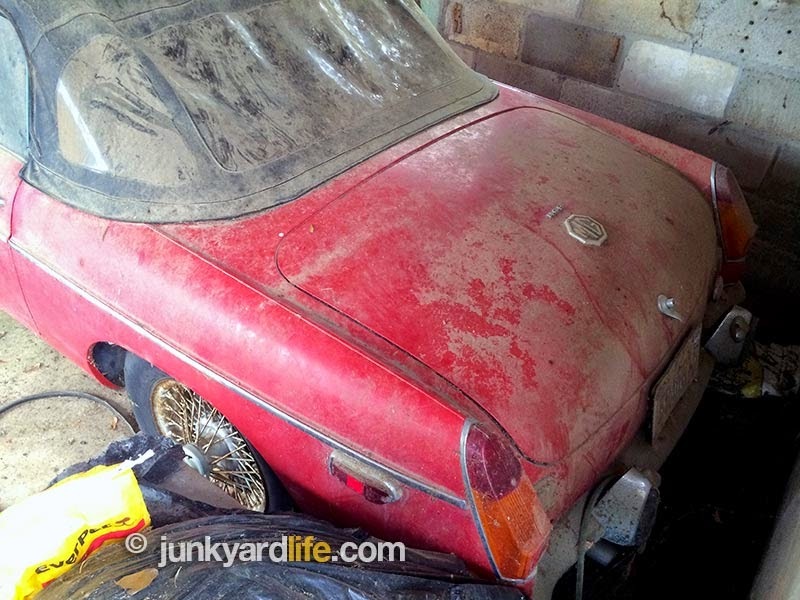 Side mirror droops on the 1972 MGB barn find – as if the MGB doesn’t want to see itself in the mirror. 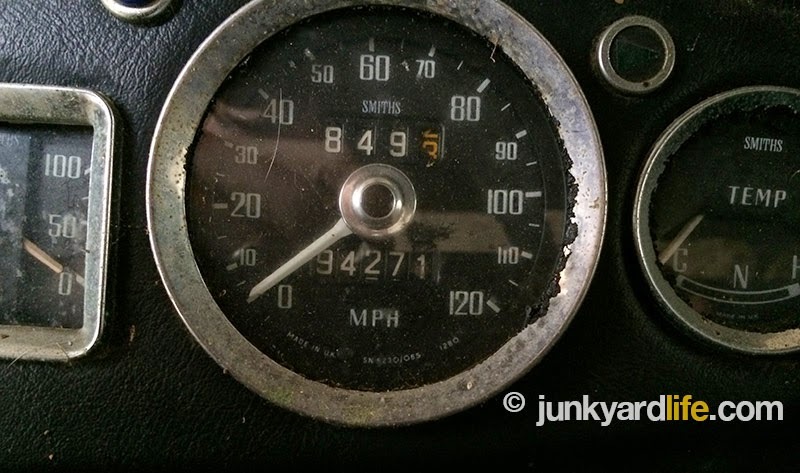 The 1972 MGB’s average miles per year dropped significantly because it hasn’t moved in 20 years. Only 94k miles on the odometer. MGBs were equipped with collapsible steering columns beginning in 1968. MGBs were produced with two 6-volt batteries, stored under a panel behind seats, from the factory. 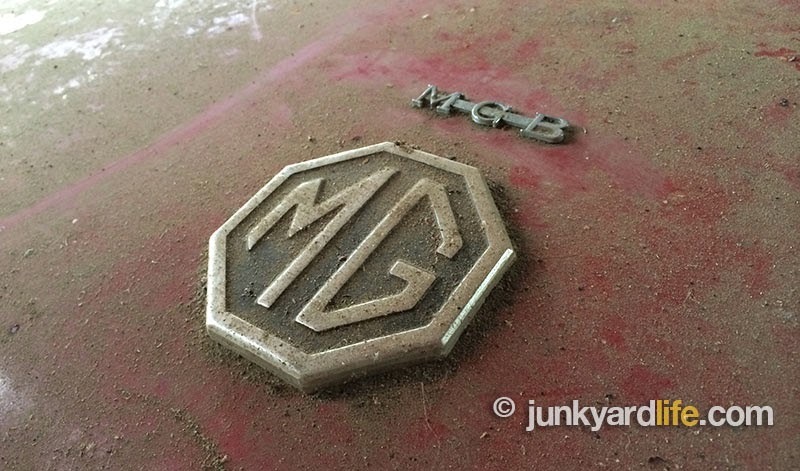 MG shield and MGB emblem on the trunk of the red 1972 roadster. 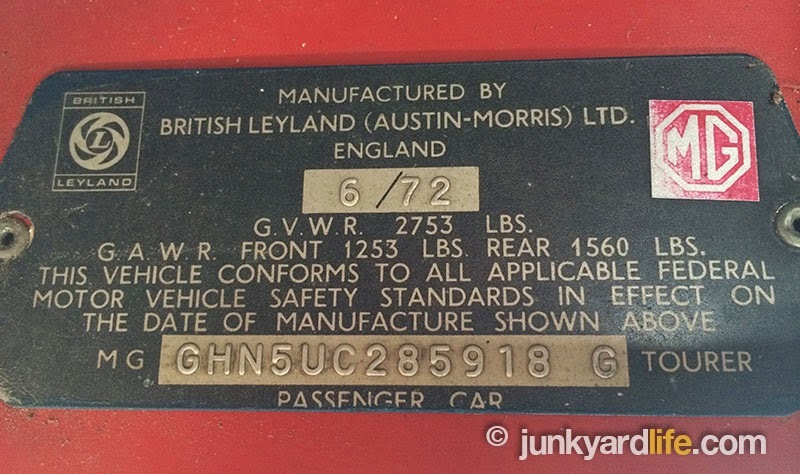 The tag on the 1972 MGB shows 1995 as the last year it was registered for the road in Alabama. The 6th digit "C" designates this a 1972 model MGB. Build plate states a 6/72 build date. The Abingdon, England company built 523,836 MGB of various models from 1962-1980. 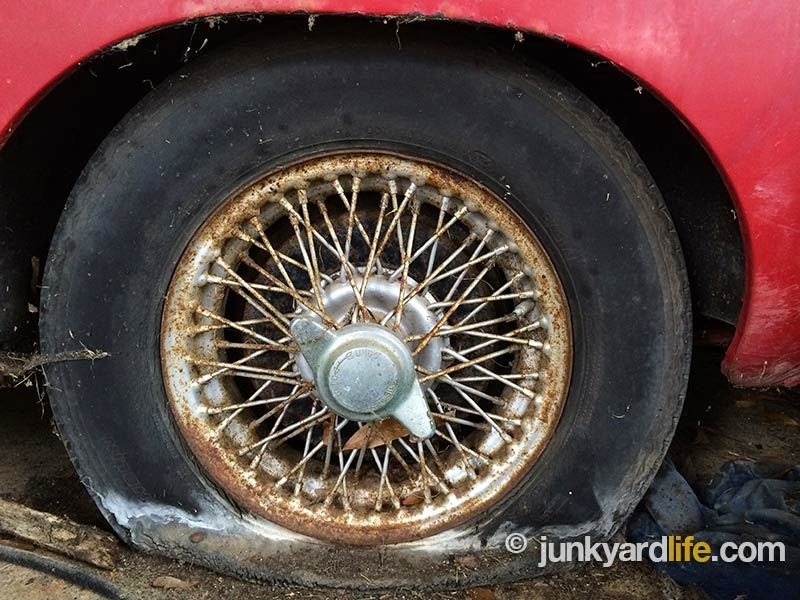 The MGB’s spline drive, spoked, knock-off, 14-inch wheels can be tedious to maintain and are heavier than you might think. 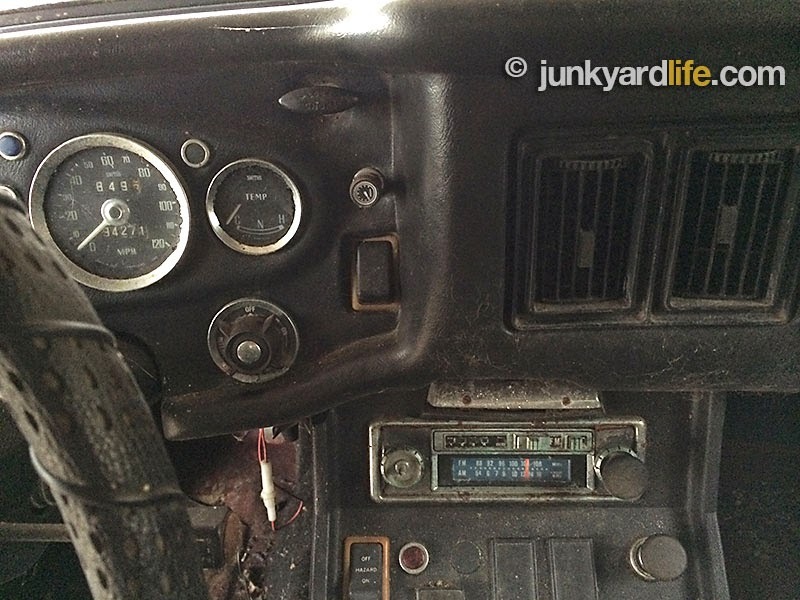 A jumble of wire hangs beneath the dash of the 1972 MGB.